Today, I uploaded a video of me unboxing the DoubleStar 1911 gas blowback pistol from SOCOM Gear, and boy, let me tell you. I had a good time doing so. This pistol is not currently available on the market, and while I may not be the first to review it, I'm certainly one of the few at this point. Do I think this makes me a better person? No. But it does make me feel better about being bald. 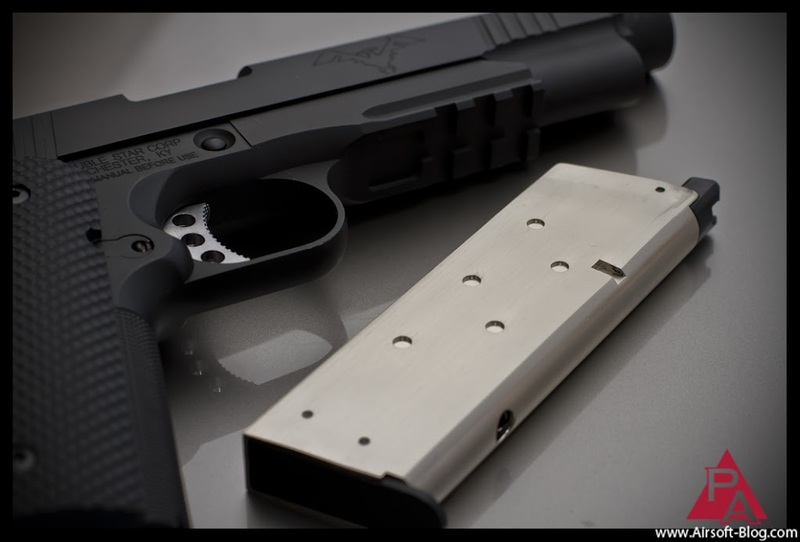 This 1911 Airsoft gun is compatible with Marui & WE Airsoft 1911s, so pretty much all the wonderful upgrades and accessories that work with those 1911s will likely work with this 1911 as well (generally speaking. Some parts may fit better than others). And that, my friends, is called a breath of fresh air.